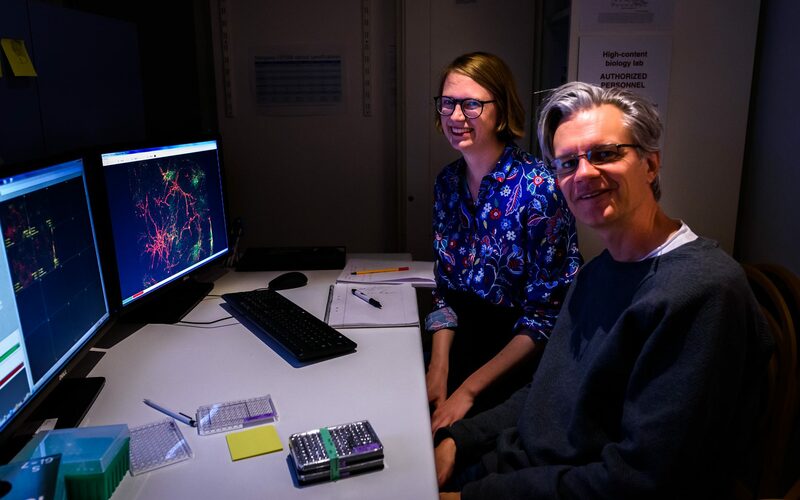 Lovisa Lugnegård, working with Andreas Hellander and Carolina Wählby, is working towards a cloud-based simulator of the data generation of high-content imaging experiments. 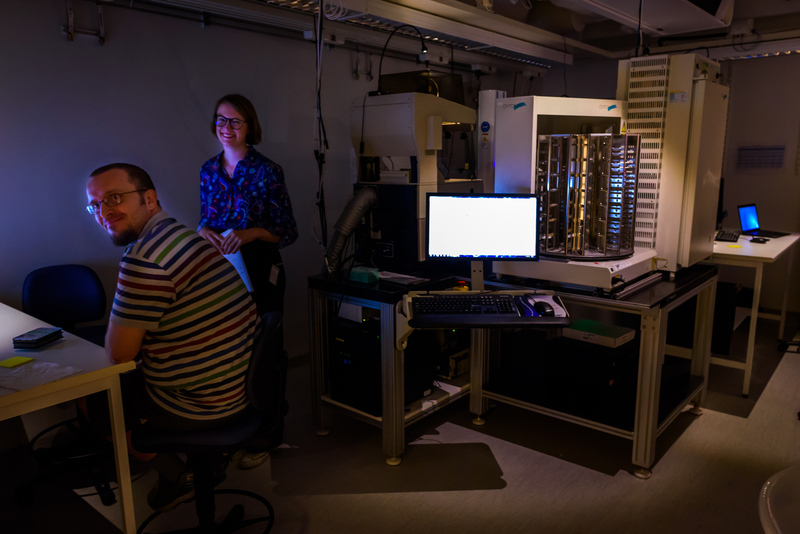 She recently visited Alan Sabirsh and Johan Karlsson at AstraZeneca to learn about their microscopy pipelines and about what parameters are important for the rate of data produced in experiments, as well as to collect an example dataset to drive her development. Johan teaches Lovisa about their Image Express microscope, to figure out how different settings affect the resulting images.